(2:23 p.m. EDT) -- As part of OceaniaNEXT, Oceania Cruises' fleet enhancement program, the line has unveiled new policies and programs to benefit passengers. Shipboard credit policy change: Passengers can now use onboard credit prior to their cruise to pay for tours, drinks packages, culinary classes and extra-fee dining at La Reserve and Privee. The change impacts passengers sailing on or after May 19, 2019. Pre-cruise savings program: Oceania is extending its onboard booking incentives, so the perks now kick in when booking 30 days before your cruise departs. Passengers can access the same savings and best price guarantee they'd receive onboard (or 30 days after sailing) if they book the month before their vacation. Luggage valet: Oceania has partnered with Luggage Forward to offer baggage transportation from passengers' homes to an Oceania ship in more than 150 ports of call. That means passengers can choose not to carry and check bags, avoiding the hassle of lost luggage or maneuvering heavy suitcases. Pricing varies by destination and type of bag shipped. Oceania has also updated its website to make navigation easier. Oceania unveiled the OceaniaNEXT initiative in August 2018, with the announcement of a $100-million refurbishment of its four oldest and smallest ships. 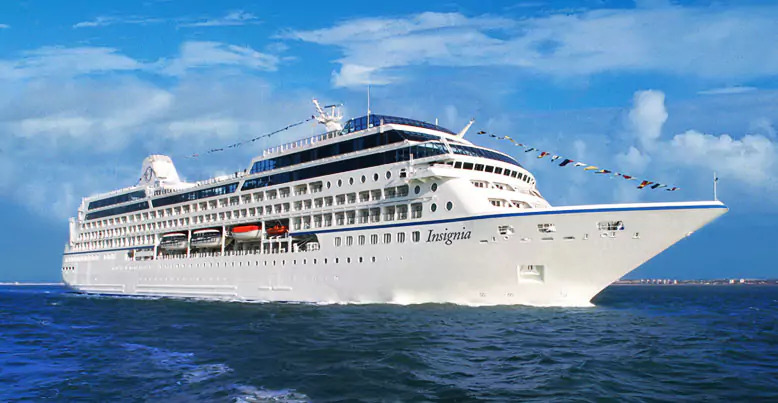 Insignia will be the first ship to get a makeover in time for the December holiday travel season. Future phases of OceaniaNEXT will touch on dining and destinations.